The Guiding of The Lord – North American Baptists, Inc.
Click here to view this newsletter as a PDF. 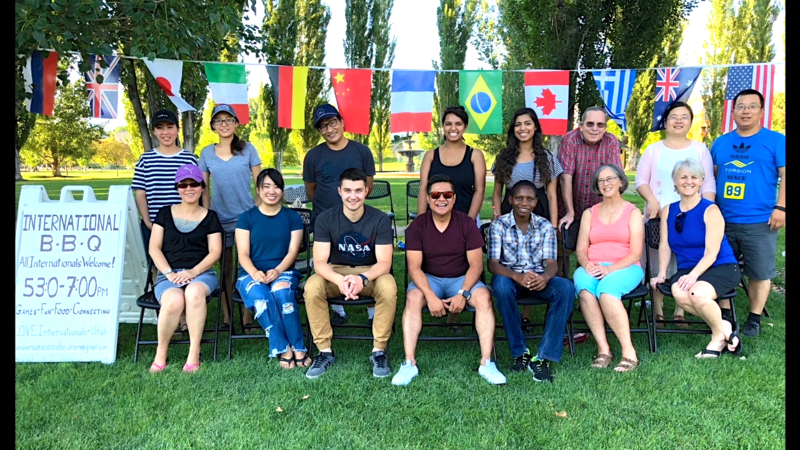 Summer is a busy time investing in student’s lives through our International BBQs, summer events, and ESL Conversation Corner on campus at UVU. In July, Lois and I attended the NAB Triennial Conference in Edmonton, AB. At that event, Bud was able to lead a workshop on “Reaching Internationals” where over 100 attended. What a blessing to see the interest and desire for churches to reach the world that has come to their neighborhood! We will be blessed as you pray for the fall startup of Conversation Cafe and our ICF’s. My fall is also getting very busy with several training workshops across the country. Several other visits are in the works. During the NAB Triennial (the theme, “Shaped”) a gifted artist was commissioned to paint a picture during the 1st session. She had prayed and asked the Lord to guide her in what to paint. 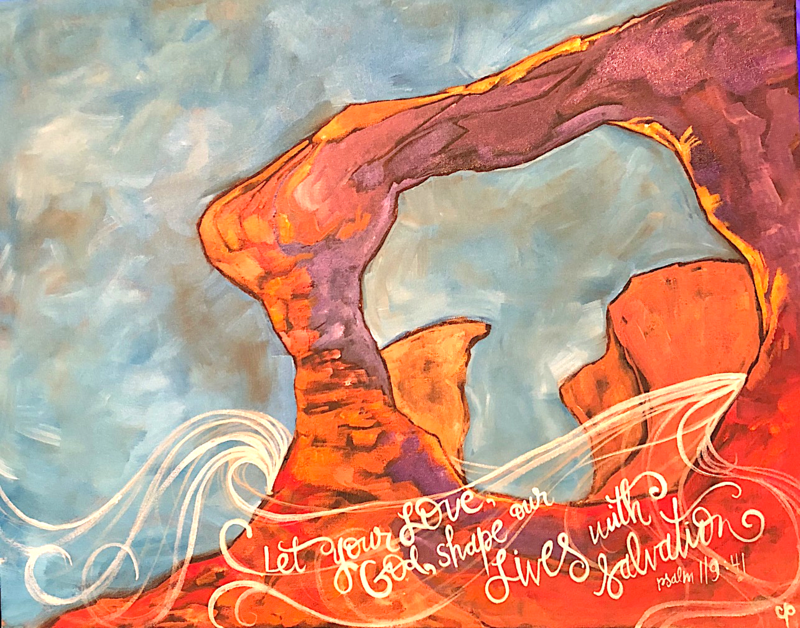 Not knowing even that day what she should do, the Lord guided her to Psalm 119:41 and to paint a Utah landscape shaped by the wind, depicting how the Lord shapes our lives by His Spirit. 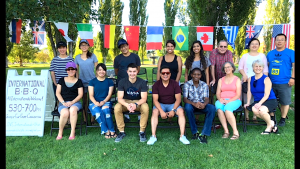 She was unaware that three weeks later, an NAB team of nine leaders would gather in Utah to discuss and pray, seeking the Lord regarding a church planting movement. Please pray with us, for the Lord’s will and timing, concerning the NAB’s role in UT. If the Lord should lead you, please join us in fasting & praying every Tuesday at lunch time. Your fellow brothers and sisters here in Utah need your prayers for the breaking down of strongholds and victory over the darkness in this place. It is truly a mission field! During childhood, my sister and I would often sing in our church. An old Jim Reeves song, “This World is not My Home,” was one of our favorites. As a kid, I did not really grasp the significance of the words of that song, which remind us that we can get too focused and attached to things rather than the eternal. When we invest in people and financially in God’s Kingdom, we find purpose in our life. At the end of June, Lois’ brother Jon lost his battle with cancer, but what he gained was far greater because he loved the Lord and his life was one of investing in people and God’s Kingdom. Although greatly missed, we rejoice that he’s with our Lord. Please do not post this newsletter to any social media. Thanks!